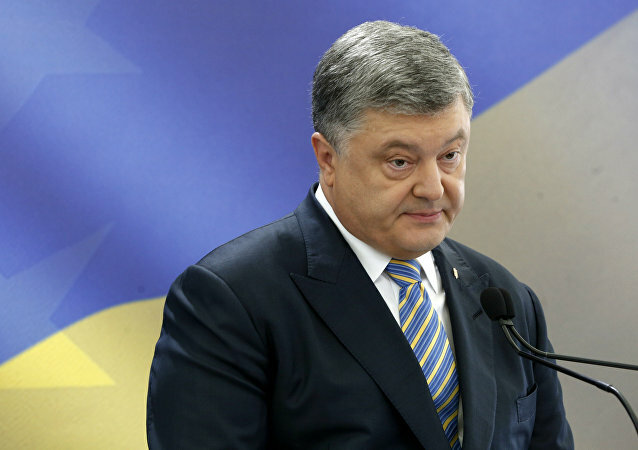 In early December, Ukraine's President Petro Poroshenko introduced martial law in some Ukrainian regions located near the Russian border following the Kerch Strait incident, in which three Ukrainian vessels illegally crossed the Russian maritime border. MOSCOW, March 19 (Sputnik) - Russia’s Communist Party candidate Pavel Grudinin said Monday that he recognized the victory of incumbent Russian President Vladimir Putin in the election, though considers the vote non-compliant with the international standards. The observers of Shanghai Cooperation Organization (SCO) believe that local election commissions at the Russian presidential vote complied with the principles of transparency and openness, Secretary-General of the SCO, Rashid Alimov, said on Monday. 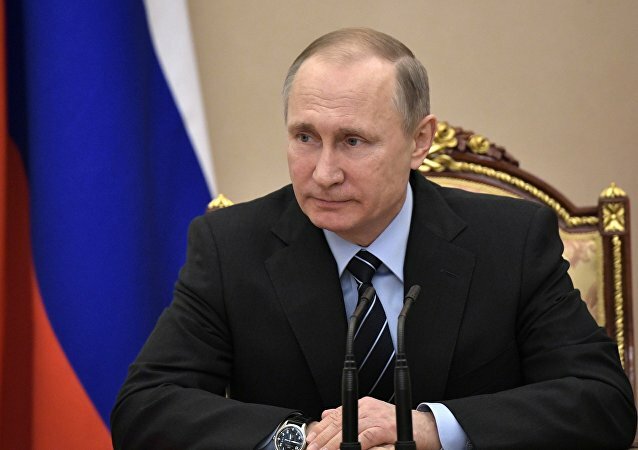 MOSCOW (Sputnik) - The disapproval rating of Russian President Vladimir Putin, who is seeking re-election in Sunday's vote, has improved in a week, going down from 7 percent to 6 percent, a poll conducted by Russian Public Opinion Research Center (VTsIOM) revealed on Monday. 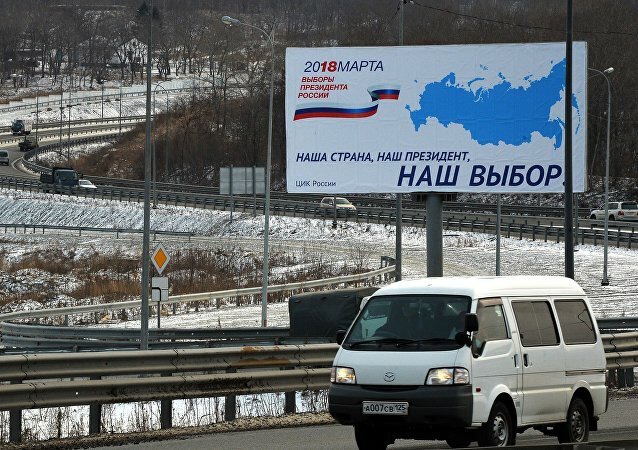 MOSCOW (Sputnik) - Over 90 percent of Russians are informed about the presidential election, set for Sunday, according to a survey published by Russian Public Opinion Research Center (VCIOM) on Monday. Speaker of the Russian upper house, the Federation Council, Valentina Matvienko, said that the 2018 presidential election in Russia may encourage further consolidation of Russian society. More than 30 million people voted at the Iranian presidential election, according to local media reports. Over 63,000 polling stations opened in Iran, with about 56 million registered voters and all four candidates for Iranian presidency cast their ballots in the presidential election, according to correspondent's report. 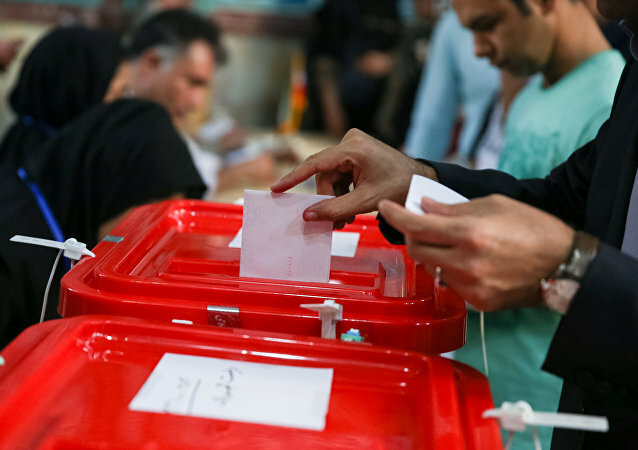 66.7 percent of Iranians will take part in the presidential election in Iran, while 16 percent of the respondents said they had not decided yet whether they would cast the ballot or not, according to opinion poll. Centrist presidential candidate Emmanuel Macron has the support of 61 percent of votes against the 39 percent expected to support far-right candidate Marine Le Pen ahead second presidential round in France, according to the poll. On April 20, a gunman opened fire on a police van parked on the famed Champs-Elysees in Paris, killing an officer and injuring two more people. 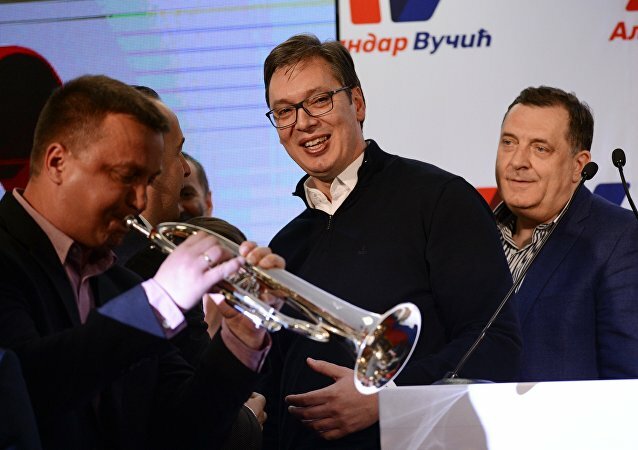 Serbia's Prime Minister Alexandar Vucic won the presidential election in Serbia with 55.13 percent of the votes after 91.39 percent of ballots were counted. The presidential elections in Serbia was set for April 2, according to the speaker of the National Assembly of the Republic of Serbia Maja Gojkovic. 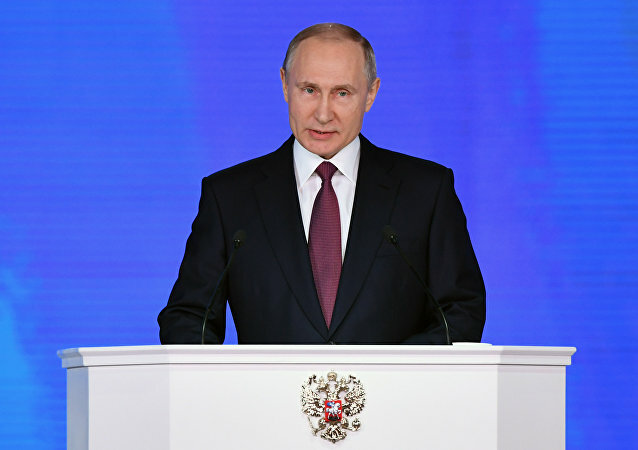 Russian President Vladimir Putin repeatedly said himself that it was premature to make any electoral statements and he has not made any statements so far, according to Kremlin spokesman Dmitry Peskov. Kremlin spokesman Dmitry Peskov stated that electoral processes are not on the Kremlin’s agenda yet. 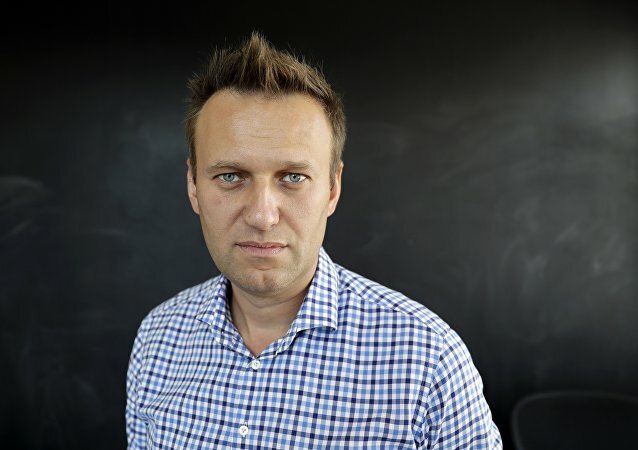 Russian opposition figure Alexei Navalny said that he is going to participate in the 2018 presidential election, while the Central Election Commission (CEC) admitted that the prospects of his presidential bid depend on the outcome of a review of a criminal case the activist has been involved in. Alexander Van der Bellen is the president who can unite Austria and he can can be a good president for all Austrians, according to a spokesperson for the ruling Social Democrats (SPO). 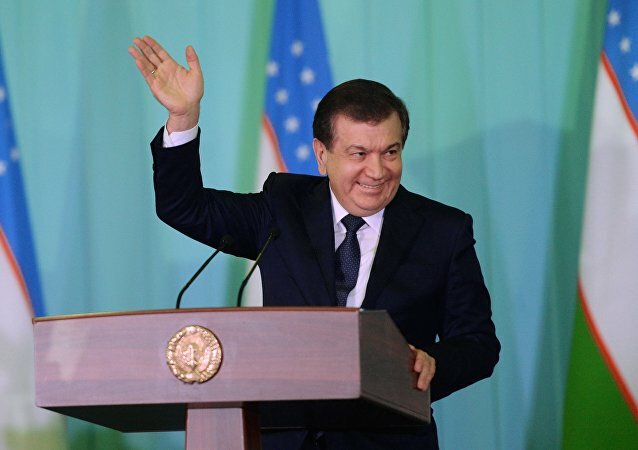 Acting Uzbekistan President and Liberal Democratic Party’s candidate Shavkat Mirziyoyev won presidential elections in the country with 88.61 percent of the votes, according to the statement of the head of the country’s electoral commission. Austrian Chancellor Christian Kern congratulated independent candidate Alexander Van der Bellen on his victory in the presidential election rerun.